Authentic Light: "...the port of divine forgiveness..."
"...the port of divine forgiveness..."
"In Christ we are made free by his blood sacrifice. We have forgiveness of sins because of God’s rich grace." 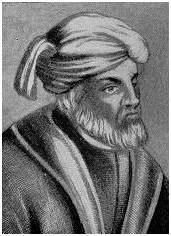 Tertullian, a writer during the days of the early Christian Movement, declares that there is no sin that God will not forgive. To all sins then, if committed by flesh or by spirit, if by deed or will, the same God who has destined penalty by means of judgment, has truly engaged to grant pardon by means of repentance, calling to people, 'Repent, and I will save you' (Prophecy of Ezekiel 18.21)... That repentance, sinner, like myself (actually less than myself, because I claim first place in sinning as my own) hurry to embrace like a shipwrecked man would the safety of a random plank. It will pull you out when you are sunk in the waves of sin, and carry you forward into the port of divine forgiveness.